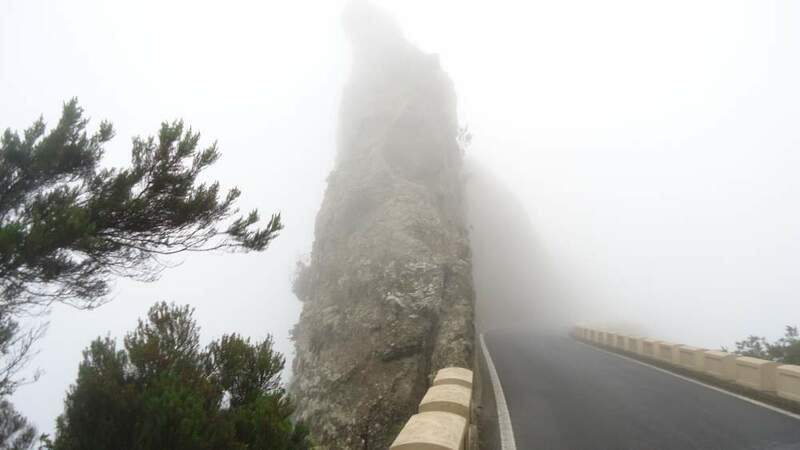 My tour from Chamorga to La Laguna has been the longest I have done on Tenerife island so far. 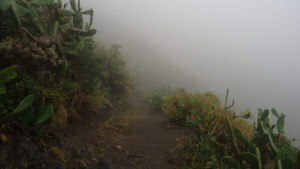 This was a walk over 35 kilometers in 8 hours, and almost 6 hours literally in clouds. The tour starts from the bus station in Chamorga. The line 947 will take you there from Santa Cruz in about 1 hour and 15 minutes. Chamorga is a very remote small village in the east of the island and at the edge of Anaga mountains. 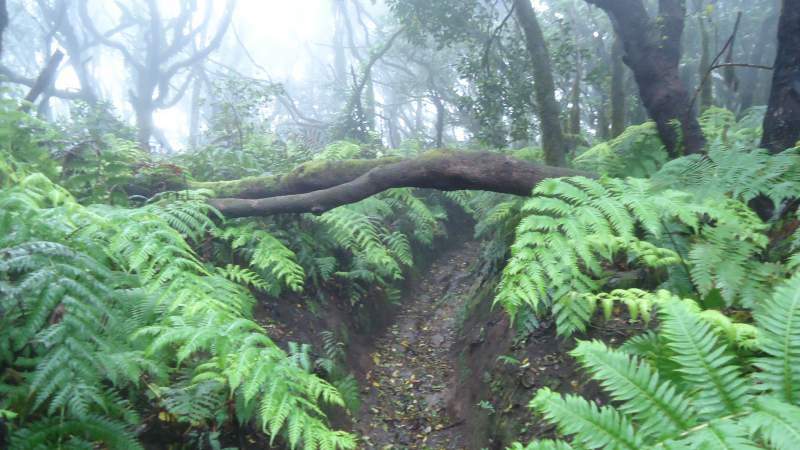 So most of the route roughly follows the watershed line along the main Anaga ridge in the east-west (or northeast-southwest strictly speaking) direction. 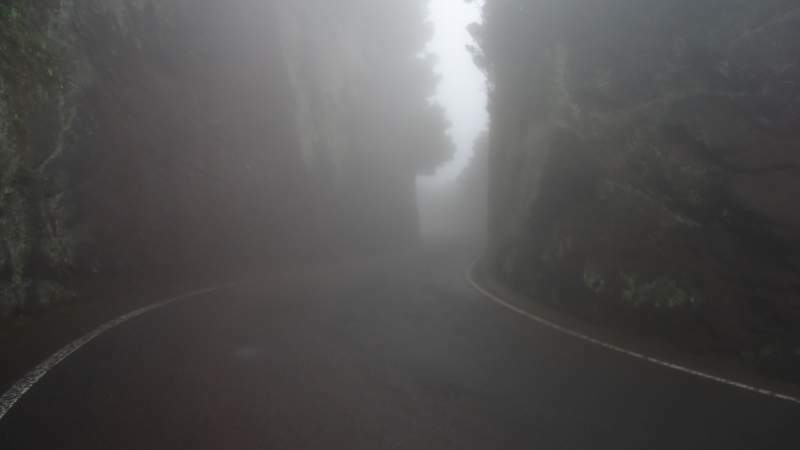 A narrow ridge passage with the road, somewhere in the middle of the route. 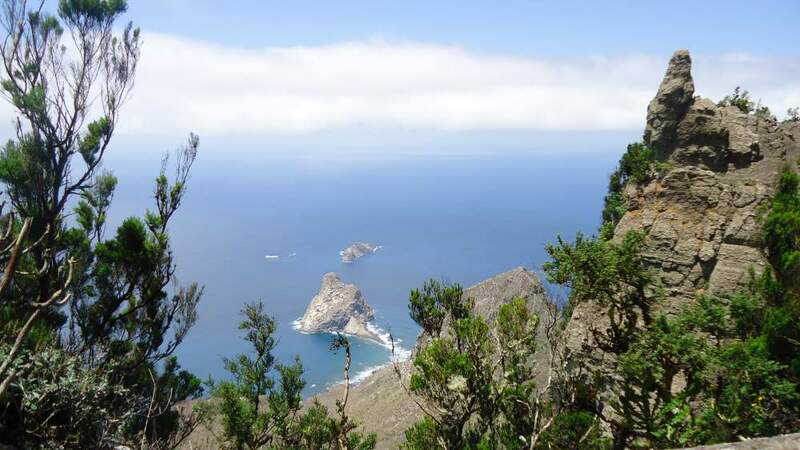 The highest point of the route (at Cruz del Taborno) goes over 1000 meters above the sea, so expecting great views is normal. But this was not my case. I was in clouds most of the time. In the first minutes I was disappointed, you will see my first picture and perhaps you will realize why I felt that way. But very soon I realized this could be one the greatest experiences on Tenerife. And it was so indeed. I told myself, ‘man, enjoy the moment, a day like this is unique and you will never see it the same again’. The map shows the route is around 33 km. But my route was way longer because I followed the road along longer sections than those in the map. 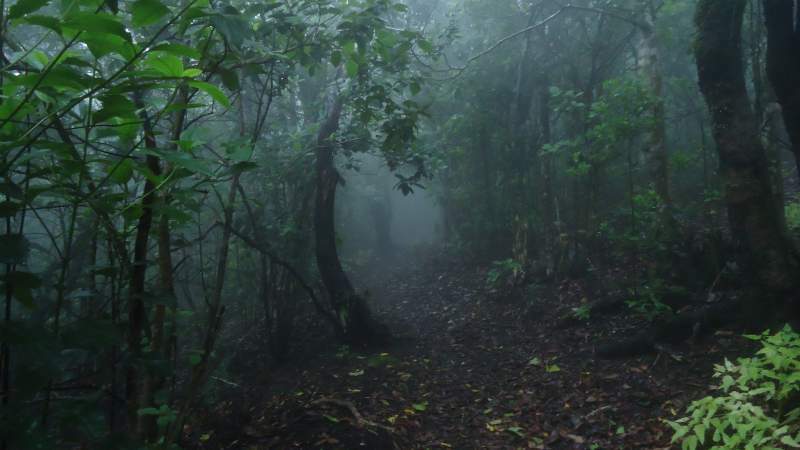 The reason: once I was out of the rain forest in the first part, at Ensillada parking in Anaga, it was difficult to pinpoint shortcuts through the forest again. 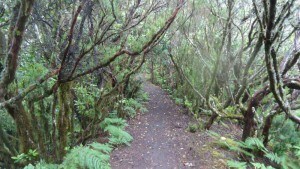 I did not have any map or electronic device (as usual in my Tenerife walks). So I was on the road in the big central part of the route, and it has a lot of switchbacks and turns over there. If you zoom the map below you will realize this. 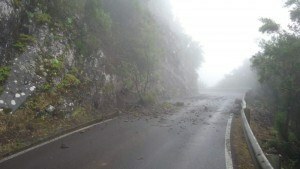 Here are a few photos in the part Chamorga – Tafaga – Ensillada. Clouds of course, they made the atmosphere mystique. Unbelievable atmosphere, and of course I was wet completely, although this was not the rain in the usual sense. The moisture from the cloud simply condensates on everything. My first photo above Chamorga. This is a view point in Tafaga, see below what it offers without clouds. An easy part in Tafaga. This is what Tafaga viewpoint offers without clouds, from some other occasion. In clouds (what a news). Somewhere around the highest point in Ensillada. Darkness in the middle of the day. 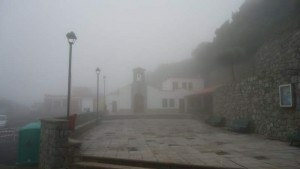 A church in clouds. Las casas de la Cumbre. 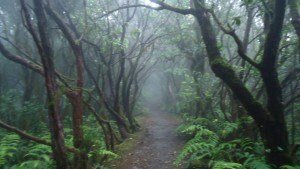 So this is a short report of my tour from Chamorga to La Laguna. I hope you can feel the atmosphere at least a bit. I walked it all the way to the beginning of the tram line and then continued to Santa Cruz. There are days beyond words (in particular when English is not a native one), and this was one of them. The rest of memories I shall keep selfishly for myself. Good hiking boots or hiking shoes. Thank you for reading. There is a box for comments below. Say something. I shall be happy to read. From Benijo to Roques de Anaga. Thank you for your wonderful and helpful site! We are coming to visit Tenerife in January with my wife and 2,5 years old toddler. As we are late all the permissions for La Ensillada are gone. 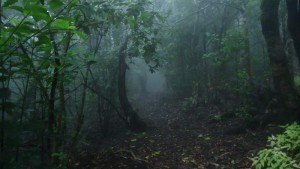 Could you please recommend areas or trails where we could go without permissions and which would offer same kind or almost same kind of forests? Do you need a permission for Tagada? Many thanks Antti, so great to hear such words. Ensillada is a public car parking on the road to Chamorga. 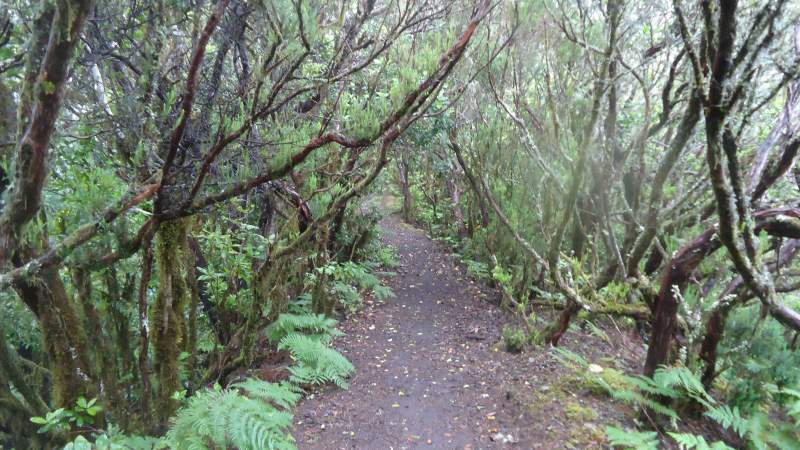 I do not think you would have problems to go there and walk a bit around, it is worth visiting in any case, you will feel the rainforest properly. Yes there are other options, I regret that I have not added many of them to the site, though not all of them would be suitable with the kid. One definitely doable is the following. When you are at Ensillada, continue to Chamorga, park at the bus station and then take a route up towards Cruz de Chamorga (the same direction as to Draguillo and Benijo), there are signs directly at the bus station, you cannot miss it. 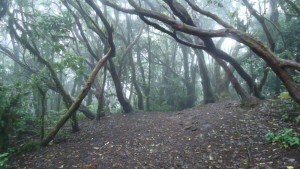 Cruz de Chamorga is the highest point in the woods, you will see it as a part of this story. When you arrive there, go to the right. 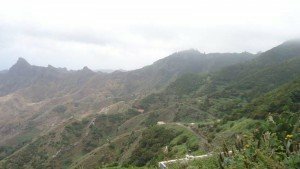 This is a beautiful route along the mountain ridge with views towards Roques de Anaga, this is also the direction towards Faro de Anaga. No need to descend to the Faro, you will be high above it and then go to Chamorga, this descend is partly described here. 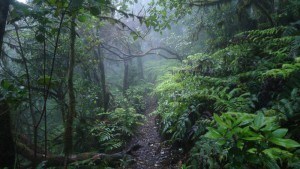 This is doable for your family situation and very attractive, the most remote area on the island. As far as I know, there is no permission required for this tour. Let me know if you have more questions. As for Tagada, frankly speaking, I am not sure what this is, perhaps Taganana? If so, no permit needed for sure. What a great story and some nice pictures. I have a few friends who moved to Tenerife a year ago, and I am planning to go and visit them. I love the way you have put in your route, it makes it really easy to decide that I have to go see these parts as well. I was not aware that Tenerife was this beautiful. 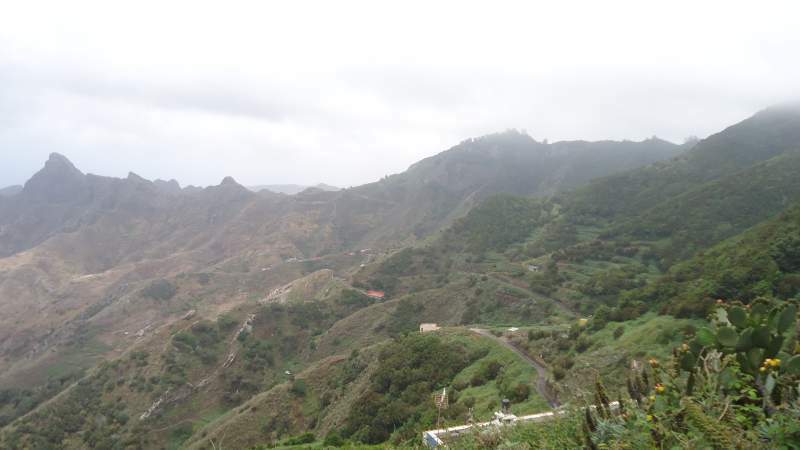 Hi Thomas, if you really go to Tenerife do not miss Anaga mountains. I have described many routes within this site. 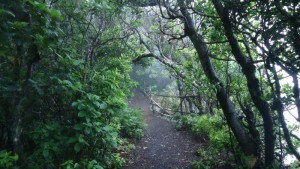 Anaga is a rain forest area with numerous hiking routes. If you want mountain climbing, then there is Teide of course, Pico Viejo, Guajara. Great pictures and even with the fog I’m sure it was a great experience for you. How long did it take you from Charmoga to La Laguna? 33km is not a very short trip. Where did you stay at nights? Hi Don, thank you for the comment. I gave my timing in the text, I was walking and did not stay anywhere. It was done at one go. Beautiful view of the island, I understand that is taken from the point of arrival at the top; congratulations, you have a healthy entertainment, I hope you continue to explore more sites and then delights us with your stories of these fantastic trips. Thank you Renan, great to see your comment. Yes, the environment is great, no doubt about it. Do not miss the chance to visit it if you can. I’ve never been to Tenerife, but if I do, I’ll be sure to look up this site again!! Hi, many thanks, great to read your comment. You are right, I did enjoyed the lengthy tour, this is something I shall never forget. I have really enjoyed your article! I never been in Tenerife,but I would like to, all these pictures opened my appetite to go discover this beautiful country. To be honest with you , I love mountain, but I am scare to climb up there.I know that I miss a lot not climbing on mountain, but can not help it! Maybe I should try to climb small mountain first and slowly go for the bigger one! Hi Daniella, great to read your comment, many thanks. Regarding your feeling about mountains, there are so many places to go to high altitudes but where you are not exposed in any way. So I am sure you can enjoy it. 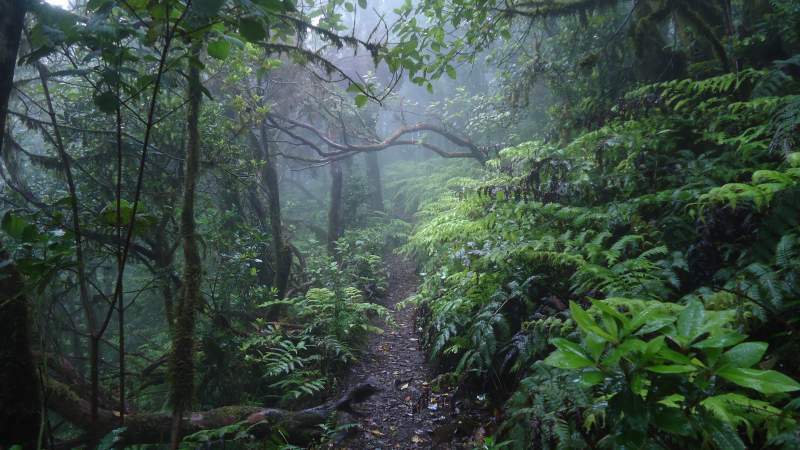 This particular is just hiking through beautiful rain forest and you are not in any danger at all. Such a beautiful place! I would love to be in a situation where I can just backpack around with no worries, no money limitations, and just plenty of time. Do you have posts on how you’re able to achieve such adventures easily? I’ve a got a friend who’s dad right now is spending months walking the entire Appalachian Mountains from top to bottom and it’s incredible to me. Hi Sarah, thank you for the comment. 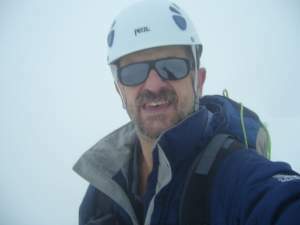 About your question, I have a page where I describe how to start mountain climbing, so this is not directly an answer to your question but you might get some information. Jovo, you have really been to amazing places. I’m not sure I’d ever want to come home when I see those views and the images you share. It’s kind of amazing to say you walked in the clouds, no? 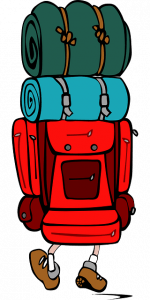 How did your passion for hiking come about? And no, I’m not tired of Tenerife yet… so please don’t be selfish! Hi Catherine, many thanks for so kind words. I am staying at Tenerife for one year and I am exploring the island as much as possible. 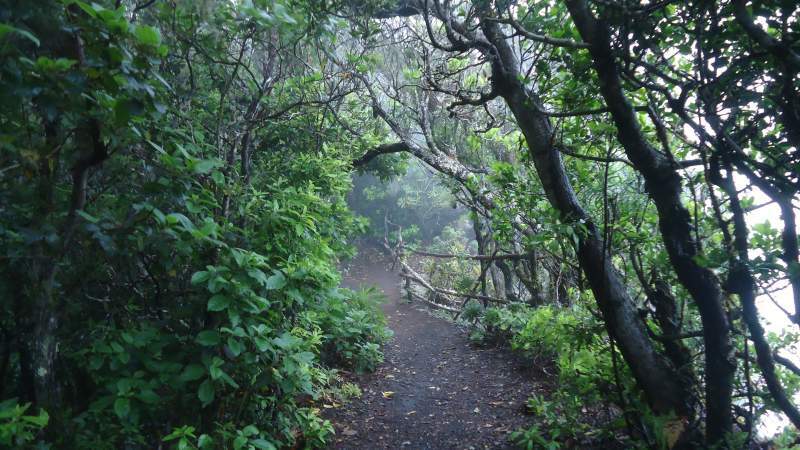 I am in fact fascinated with Anaga mountains and its rain forest Pijaral there. If you go to my Tenerife page you will realize I have been walking around a lot.